The first phase of the project was launched on February 23, 2017, at Bath Hotel, Bath Plain, with a Steel Pan Training Workshop for over 20 young persons who will carry the project forward. 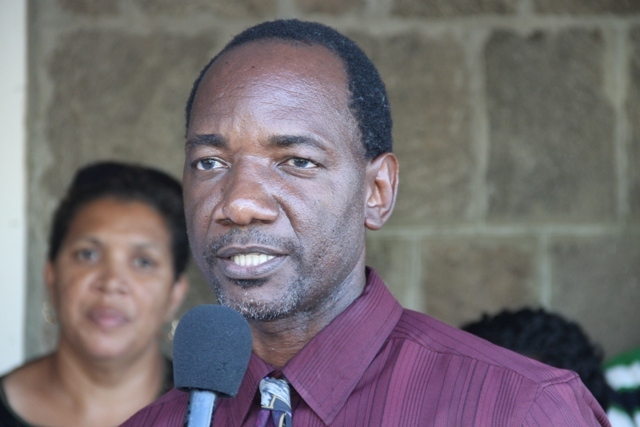 Assistant Secretary in the Premier’s Ministry Kevin Barrett said that the project which will run over three weekends, is the brainchild of Premier of Nevis Hon. Vance Amory. 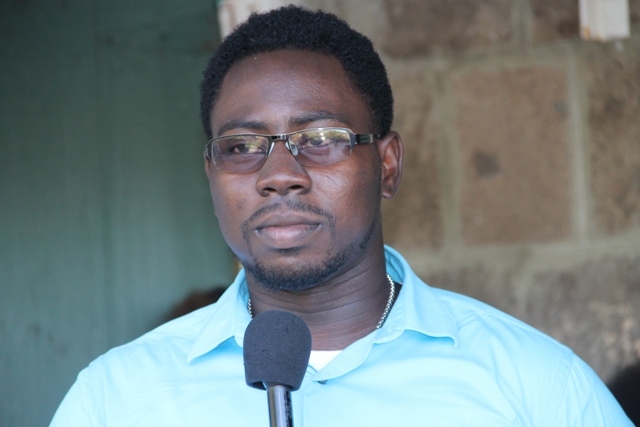 “He is very much interested in having all of the constituencies and the various communities around Nevis starting small steel pan groups. 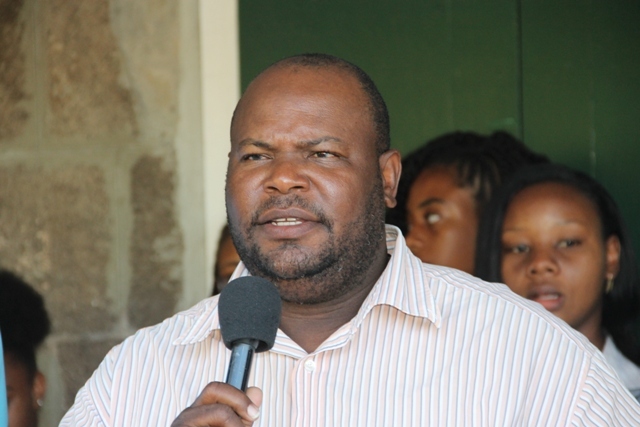 He approached Mr. Antonio Maynard who is the Secretary General St. Kitts and Nevis National Commission for UNESCO. “Maynard came to Nevis and met with the Permanent Secretary Mr. Wakely Daniel and I and we were able, with the help of Mr. Rohan Claxton, to put a proposal together and UNESCO approved that proposal,” he said. Funded by UNESCO, the Premier’s Ministry put together a committee to spearhead the project which comprises of Music teacher Rohan Claxton who is Coordinator of the project, Dominique Honders, Secretary, Tracy Parris, Community Liaison Officer for the St. George’s Parish, Zahnela Claxton, Director of Youth Development, Erick Evelyn, President of the Empire Sports and Social Club and Keith Scarborough from the Nevis Cultural Development Foundation. Mr. Claxton who was present at the opening ceremony, urges the participants who were drawn from a number of students and pan players from the Nevis Pan Ensemble and the Steel on Fire group, to learn all they could because in the end, they would be the future teachers of steel pan to ensure that the culture and heritage of steel pan in St. Kitts and Nevis continues. The workshop will be facilitated by Mr. M.J. Byron from St. Kitts. 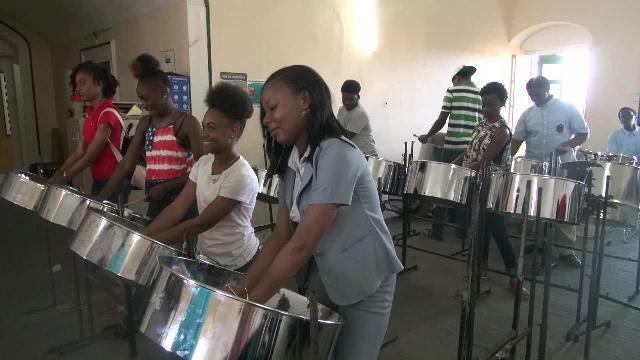 A panist and musician, said the matter of steel pan development is something that has been dear to his heart for the past 19 years. “Steel pan development, not only around Nevis, not only in this community but in the region on a whole, is something that I would have love to have done here at home in St. Kitts and Nevis, to spread the goodness of this instrument and to show where this instrument can carry you, where this instrument can go and what you can do with this instrument. “So I am very delighted and grateful for this opportunity to share what I’ve learned over the past 19 years of my life with this instrument,” he said. The group will be taught various techniques in playing steel pan, and overall development in terms of how to teach the steel pan. At the end of the training, the Gingerland community will be the first to benefit from training to form a community steel pan group.